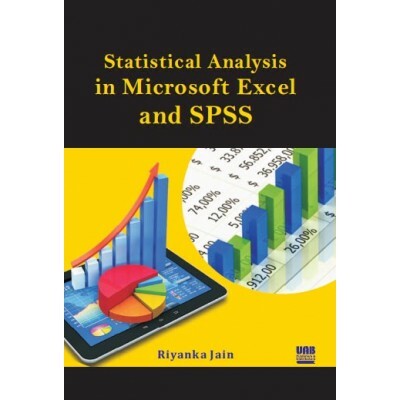 The book Statistical Analysis in Microsoft Excel and SPSS aims to help the students in gaining knowledge about the basic statistical functions and formulas and achieve effective and easy analysis through the use of leading IBM software SPSS i.e. Statistical Package and Social Sciences and also Microsoft Excel. This book is a step by step guide for performing a Regression analysis, understanding different Probabilistic Distributions, learning about Quantitative Techniques like Linear Programming, Assignment Problem, Transportation Problem etc. The author has tried her best to simplify the technical material so that the reader can get an intuitive understanding of this material. The simple examples included in the book will really make the study very easy and yet efficient. Simple and relative exercises are also included at the end of each chapter to encourage the students to obtain their own data and implement the various techniques discussed in the book. This book will particularly help students of Second year, B.A. (H) Business Economics who can study this as part of their Skill Enhancement Course, Database and Statistical Packages as this book covers all the necessary course material included in the syllabus.